Fancy a mouthwatering burger from Smokin Bones or a tasty slice from Sano Pizzas? Well, popular takeaway service, Deliveroo, has you covered. 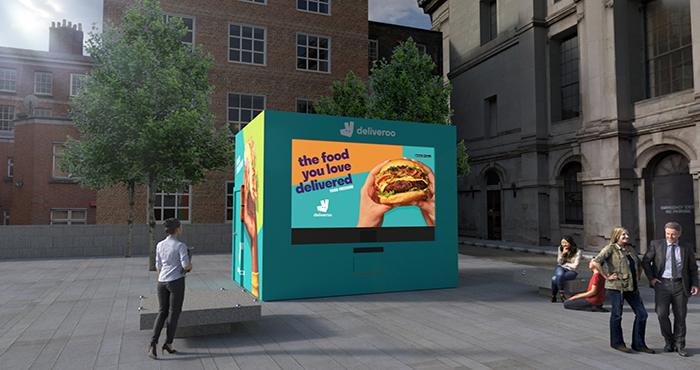 This Thursday, the delivery giant will be dishing out freshly cooked free food to Dubliner’s from some of the city’s best loved restaurants including Smokin Bones and Sano through its new edible intelligence machine. Speaking about the pioneering technology, Dan Warne, Deliveroo’s Managing Director in Ireland, said: “We love our Irish customers. After delivering millions of meals across the country, we know a thing or two about what locals love, and who doesn’t love some free food? Passers-by will interact with the new technology in exchange for some tasty bites. The EI-powered technology interacts with their taste buds and delivers food right before their eyes. Standing a staggering 3.5 metres high and 4 metres wide, the high-tech structure has been erected to celebrate the company’s fourth birthday in Ireland. And those looking for a meatless lunch need not worry; The Food Freedom Edible Intelligence will also be serving up Margherita pizzas. It all kicks off Thursday April 11th from 12pm to 3pm on Barnardo Square, just off Dame Street.